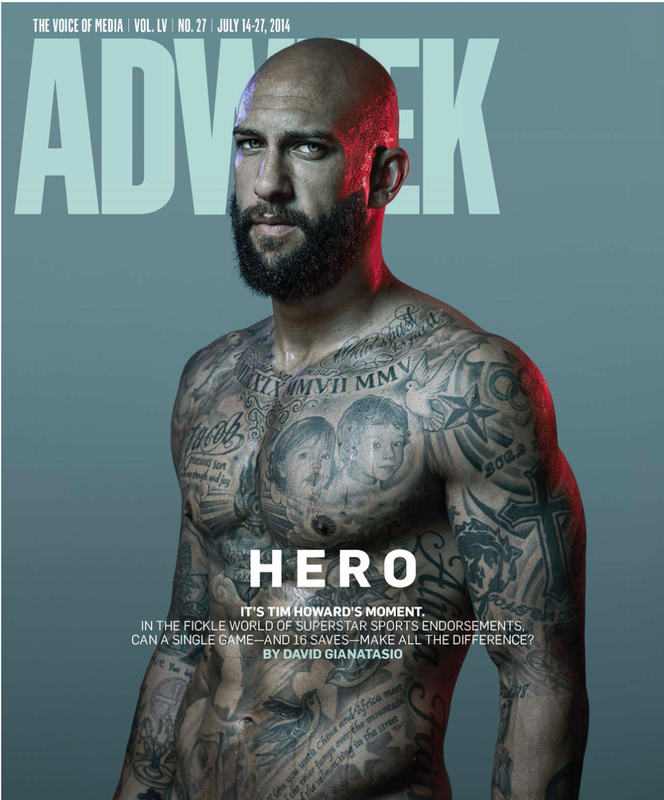 Tim Howard Kills the Cover of Ad Week – 5 Things I bet you didn't Know about him - T.V.S.T. The Adweek Cover is one of those pictures that appeal to both men and women. I’m not sure why he is on the cover of Adweek, but it will surely boost their sales this month, not to mention drive and insane amount of hits to their website. During the interview for the cover, he is asked how it feels to have sudden fame this late in the game, but unknowing to us Americans who stop loving soccer at age 6…we are the late ones, not his fame. He has been famous for quite some time, it’s us Americans who didn’t know about it. Of course we can’t just leave you with that – you can catch the entire interview here at Adweek, but for our readers we decided to do some internet sleuthing, we now present to you….. I may develop a pronounced twitch in one of my arms, or my neck or one of my eyes. It is usually very sudden. Sometimes I start coughing, or individual muscles contract. 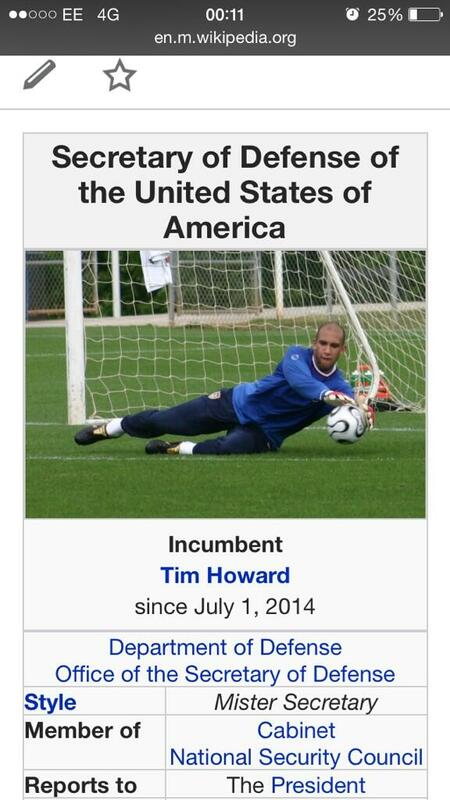 Right after his game against Belgium, someone went into Wikipedia and pulled down Chuck Hagel’s picture and replaced it with Tim Howard’s. Eventually the team at Wikipedia caught it but it was pretty funny. All the girls want to know what their competition looks like and all the guys want to know if who he is smashing is up to par. Well girls, he has set the bar pretty high, and guys he has indeed made us proud. 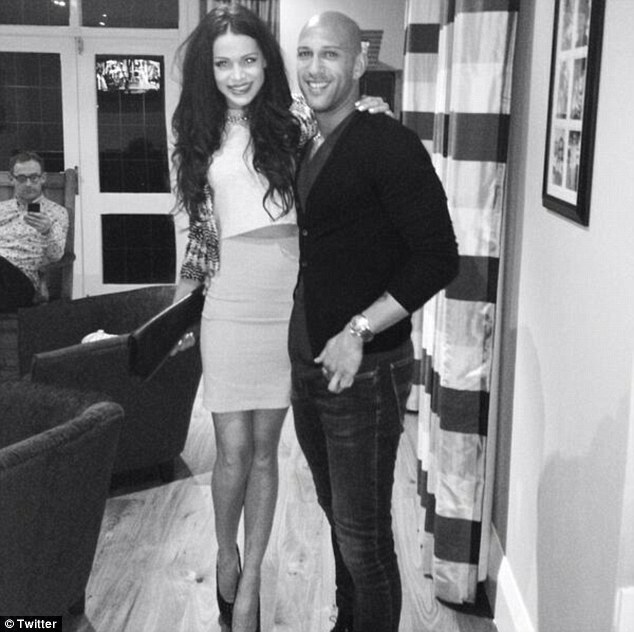 He is dating model Sara Mclean. She is a 2nd place 2011 Miss Scotland Pageant winner and was on the British version of Big Brother. Did I mention, she happens to also be an investment banker…hmmm…..
Also some pics of his ex-wife and kids…because I know you were wondering. He and Laura Cianciola Liebenrood married in 2003 and filed for divorce in 2010, which was granted in 2012. 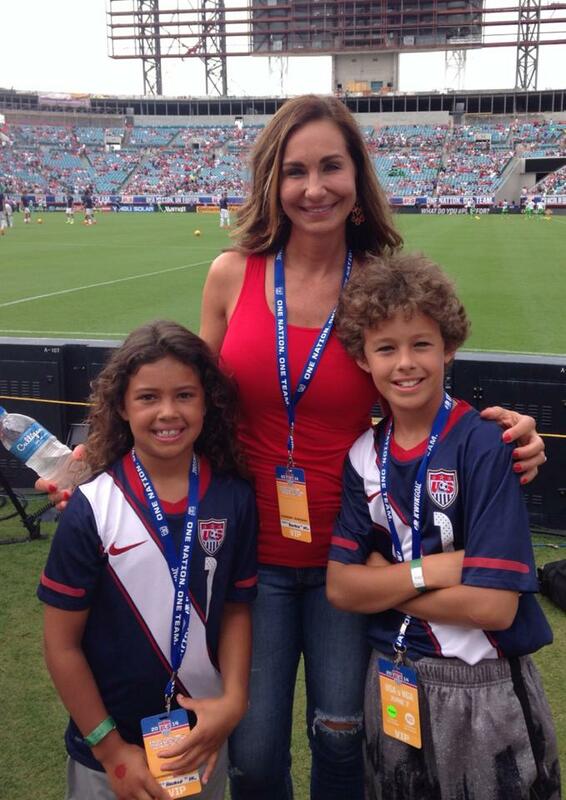 They have 2 children together; 8-year-old son, Jacob, and daughter Ali, 7. You know by now I’m obsessed with salaries and net worth! Before his epic World Cup performance he signed a two year contract extension to keep him at Everton until 2018 – right up to the next World Cup in Russia. Celebrity net worth has him worth a nice tidy $8 million. We should see that number sky-rocket now that US sponsors are nipping at his heels. 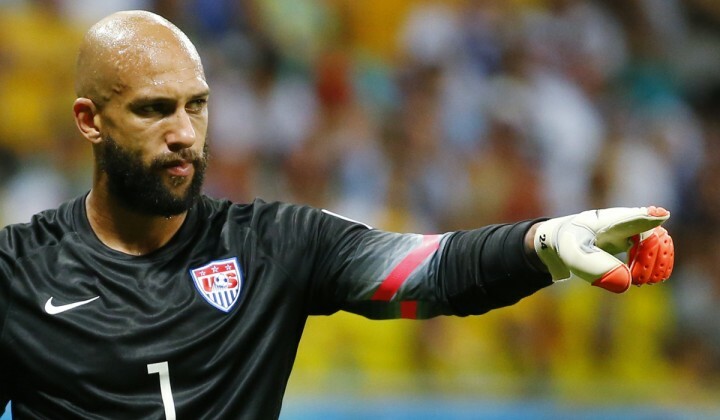 In case you are wondering, there are professional goalies playing into their 40’s so he has a lot of good years left. Now that was much better than just a hot photo, of a tatoo’d stud with abs, right? (Please don’t answer that). Kate Middleton Expecting Baby Number 2? Jenny McCarthy Reveals her New Gig, and it’s not nearly As Great as she made it Out to be.